Alphabet Inc’s GOOGLE and Russian Anti-Monopoly Watchdog FAS had struck a deal out of court according to Reuters. The settlement between the two parties has now been approved – According to the deputy head of FAS “Alexei Dotsenko” the term of the deal is 6 years and 9 months. The dispute started in 2015 when FAS ruled that; Google is exploiting its power in Tech world by making it mandatory the pre-installation of certain apps on mobile devices running the Android OS. The ruling comes after the Russia’s Yandex filed the complaint. Yandex is described as the “Google of Russia” – the leading search engine giant of Russia. Yandex filed the complaint on the basis that Google is forcing people of Russia to use its search engine and it’s facing a stiff completion in mobile search. Android at that time ( in 2015 ) is dominating the Russian smartphone market with 86% market share. 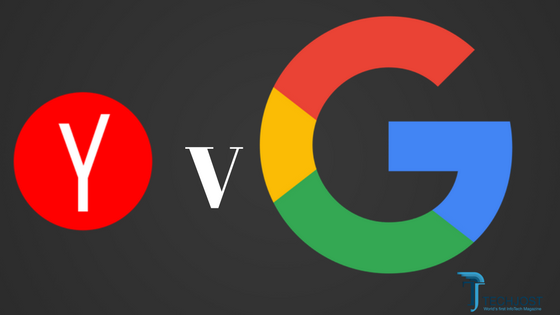 Yandex complains that Google search engine is the default in those devices and all other search engines are facing an uphill task to compete against Google. Yandex has been long working with other major players of Tech industry Apple and Microsoft since it’s the market leader in Russia. Google is undoubtedly the largest search engine company is the world with more than 90 percent share in first world countries. Currently the Alexa rank of Yandex is currently 31 and serves in following countries; Russia, Turkey, Ukraine, Kazakhstan, Belarus, Azerbaijan, Georgia and Armenia.